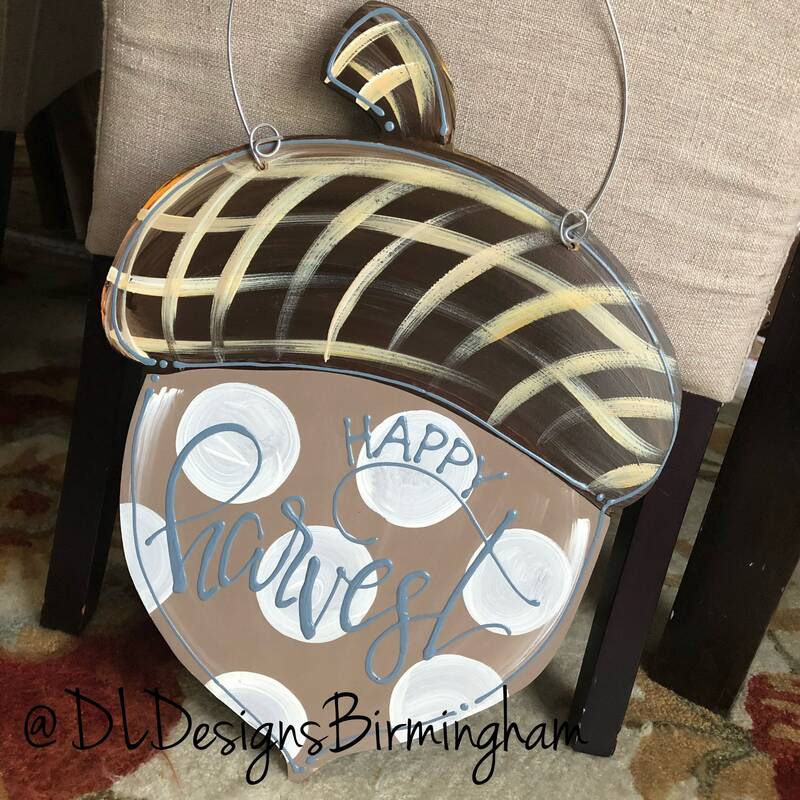 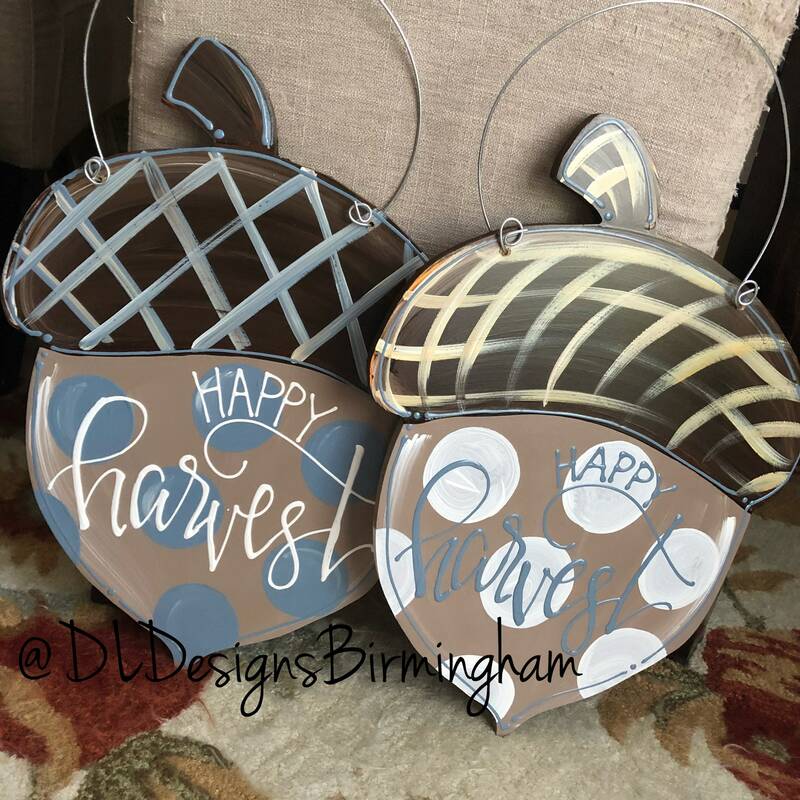 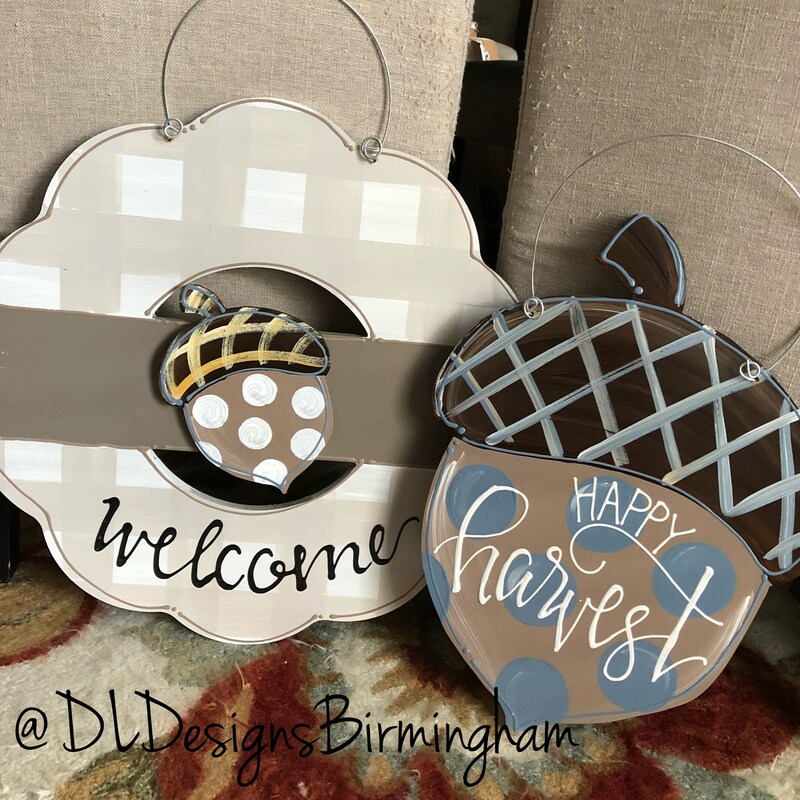 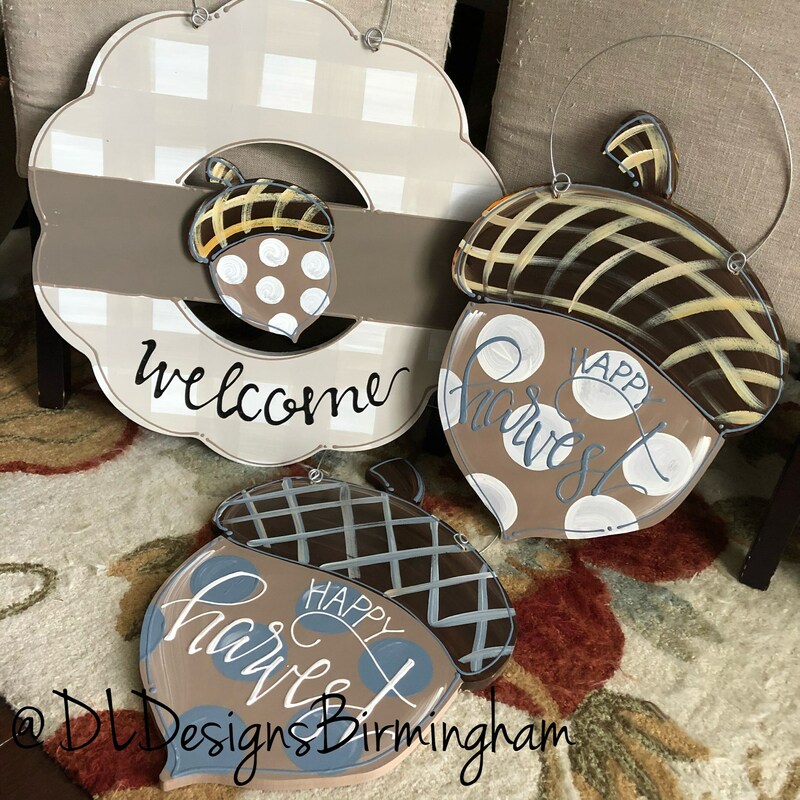 Wood acorn door hanger in your choice of cream OR grey/blue dots with hand lettering. 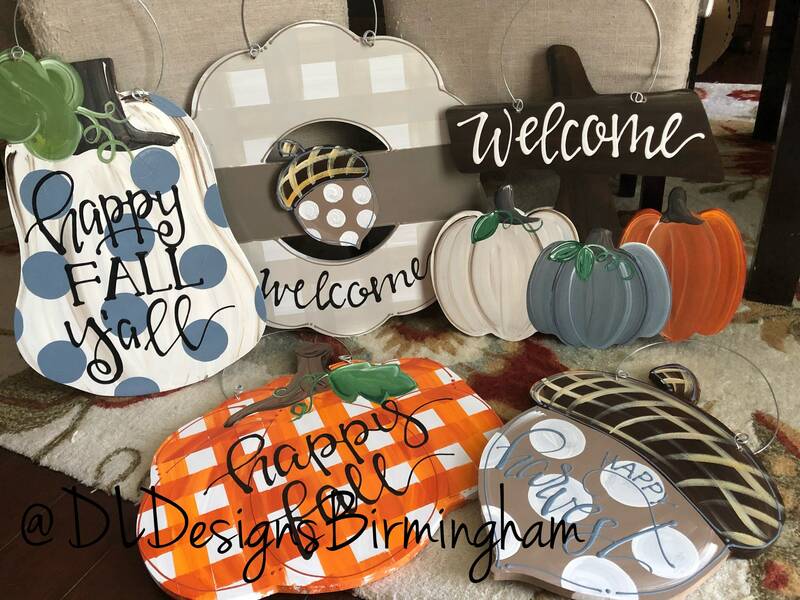 Please choose dot color from drop down menu. 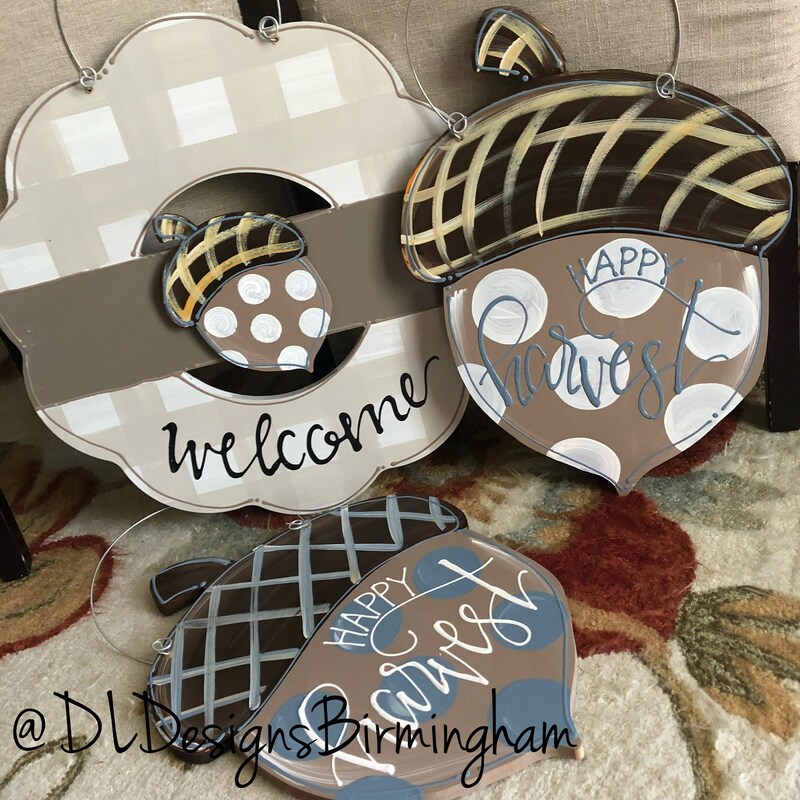 Please leave personalization/wording in the note to seller at the time of purchase. 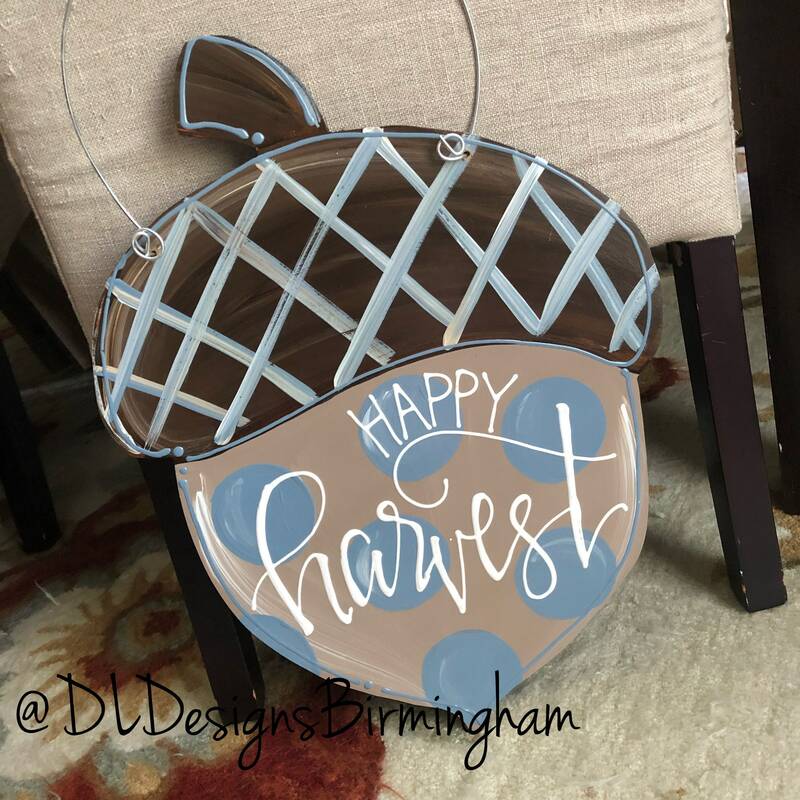 If no personalization is included, 'happy harvest’ will be written. 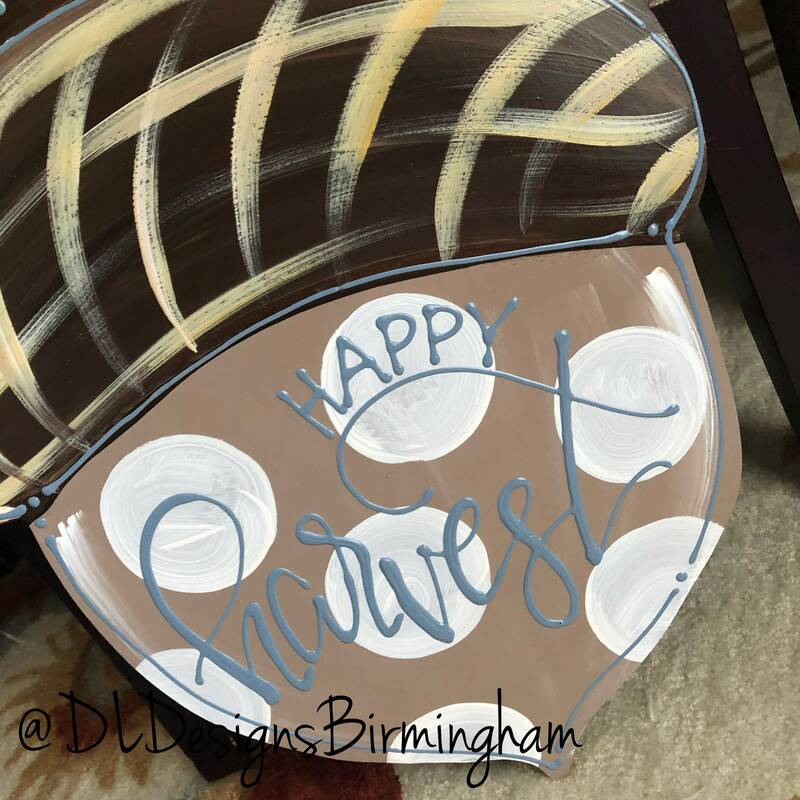 Acorn size: 18in. 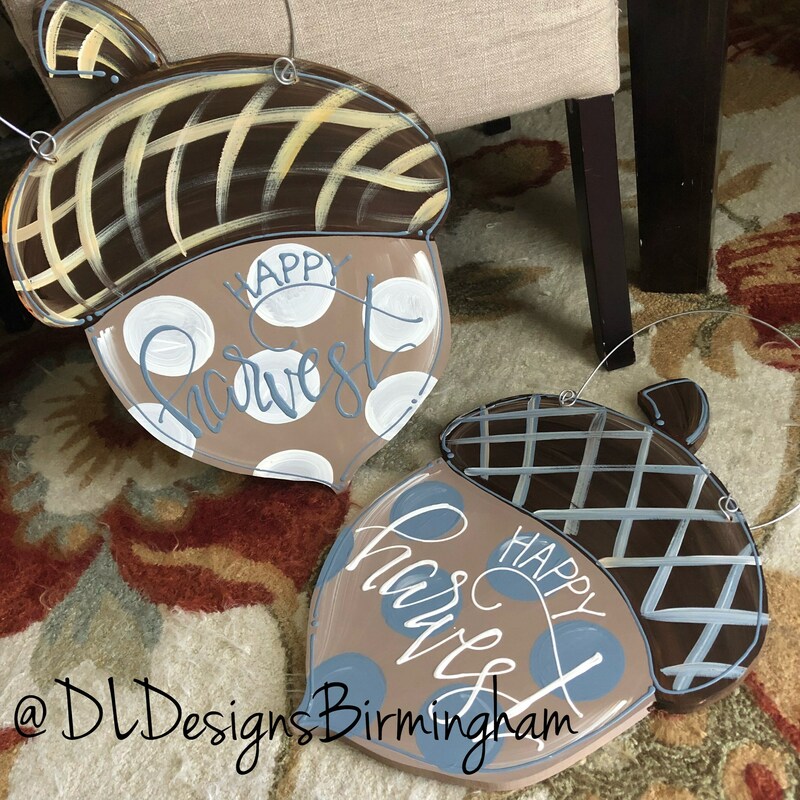 tall plus wire for hanging.